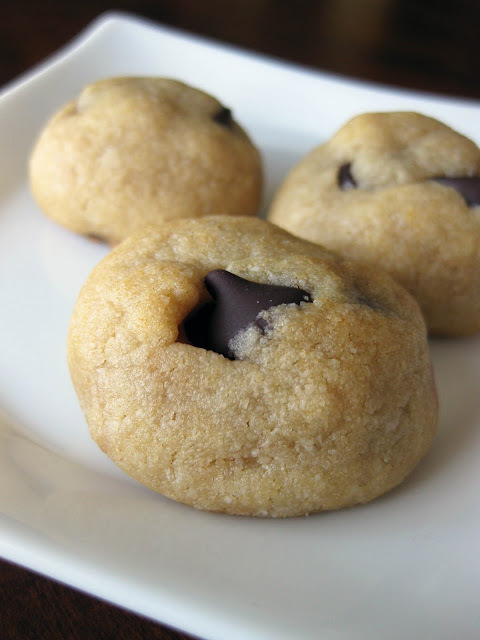 I discovered the "Cookie Ball" while devising a tasty paleo chocolate chip cookie recipe. As I tested each new recipe variant, I gauged the batter's spreadability with a "ball test": I'd leave one lump of cookie dough as a perfect ball and see how much it spread out in the oven on its own. As it turns out, the cookie recipe I settled on barely spreads at all. This means that to get a traditional cookie shape, you need to flatten each cookie well with the palm of your hand before baking. But this also means that you can skip the flattening stage to make ball-shaped chocolate chip cookies! They come out of the oven slightly browned and cookie-liked on the outside while remaining soft and moist on the inside. They were popular: One friend started asking for me to make more spherical cookies just for her to enjoy. These might look gigantic, but they are each about the size of a walnut. 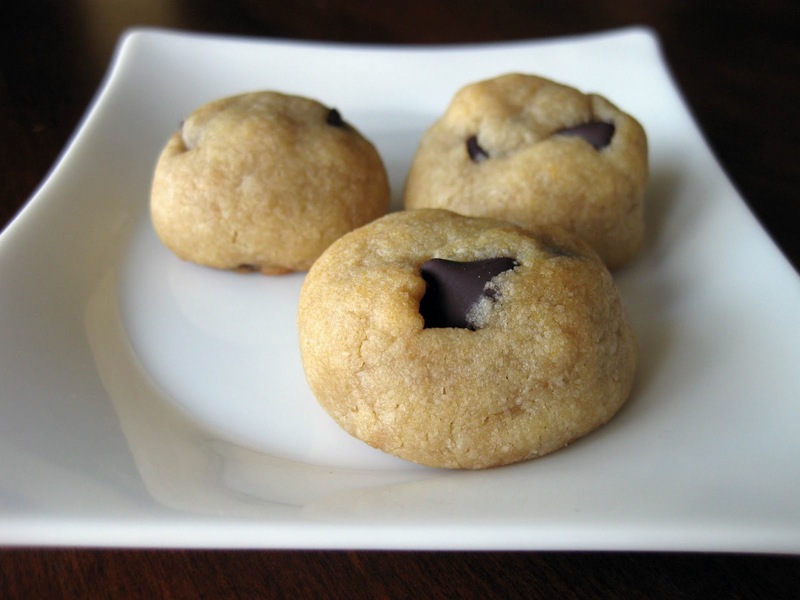 The recipe can be found in my previous post: Delicious Paleo Chocolate Chip Cookie Recipe. The difference in the recipe is at the end: roll the dough into balls, each about the size of a walnut, and let them bake as-is instead of flattening before baking. Bake until golden brown, let cool, and eat. Note: If you substitute raw honey for the agave syrup that I call for in the recipe, the cookies do spread a small bit on their own. They are best eaten the day of baking. I tried refrigerating a few and eating them several days later - the texture becomes more chewy throughout and less enjoyable. Thank you for testing recipes! Some of the recipes out there are seriously bad. Like some on Elana's Pantry and others that are so popular and have recipe books. Being healthy doesn't mean having poor taste and/or settling. It is the reverse of settling for disgusting junk food but spending more money. If I had to eat awful food like that all the time, I would revolt against my parents.